Description : 1st Full Album ORDER FORMS : New Customer, click -->&nbs.. Description : New Album ORDER FORMS : New Customer, click --> NE.. 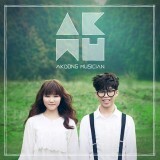 Description : Akdong Musician's 2013 Summer Hit ORDER FORMS : New Customer,&nbs..